Museum-lovers will get to explore Exploratorium and SS Jeremiah O'Brien. Your itinerary includes some good beach time at Fort Funston National Park and Fitzgerald J V Marine Reserve. Change things up with a short trip to San Gregorio State Beach in San Gregorio (about 38 minutes away). 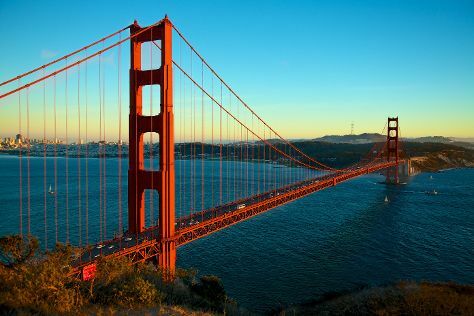 The adventure continues: take in the views from Golden Gate Bridge, take a leisurely stroll along Fisherman's Wharf, step off the mainland to explore Alcatraz Island, and admire the masterpieces at Asian Art Museum. To find ratings, maps, photos, and tourist information, read our San Francisco itinerary builder app . In December in San Francisco, expect temperatures between 59°F during the day and 45°F at night. Finish your sightseeing early on the 29th (Sat) to allow enough time to travel back home.